EHD UV Quarz C-Mount lenses for machine vision, medical and forensic applications. 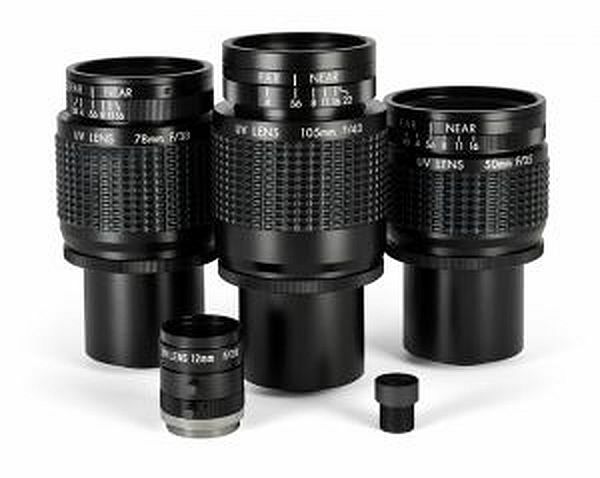 Available from stock in 6, 9, 12, 16, 25, 35, 50, 60, 78, and 105mm focal lengths, these lenses are well suited to forensic investigation and other UV and Infra-red imaging applications. We have designed and manufactured these lenses as a reasonably priced solution to the growing need for imaging in the other than visible spectrum. Owing to the broad transmission range of the quartz elements this family of lenses can transmit well into the Infrared spectrum as well.